Made up of 60 spacious campsites and 3 cabins resting right along mile marker 3 of the Lake of the Ozarks - you are sure to love camping with us. 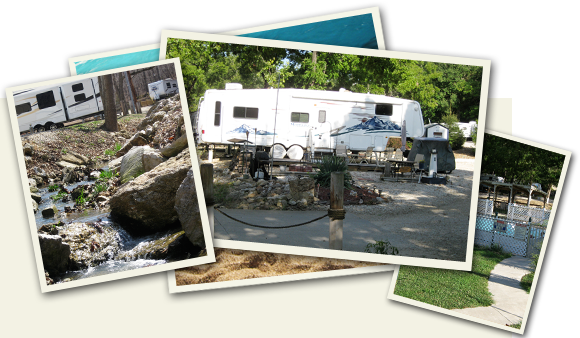 All sites are gravel and include cable television, WI-FI internet, fire pits, picnic tables and much more. Come stay with us for one night, a weekend or sign up for great deals for an entire season. We would love to see you! The following regulations are intended to provide all our guests with a pleasant and safe camping experience. 1.) Rental of an RV site allows the renter the storage of one RV and one vehicle. Rental of a cabin, allows the renter the storage of 2 vehicles. Any other vehicles must check in at the office and pay the posted fee. 2.) Boats, trailers or wave runners stored any where on the property, for any length of time, must check in at the office and pay the posted storage fee. 3.) Rental of RV space allows 2 people per site. Additional guests over the age of 6 must pay a $3 per person per day fee. 4.) Quiet hours are from 11:00 p.m. to 6:30 a.m. 5.) Fires shall be in fire rings only. 6.) Place trash in plastic bags and put in one of two dumpsters on the premises. If you do not have plastic bags, please ask at the office. 7.) No dishes shall be done in the shower building. 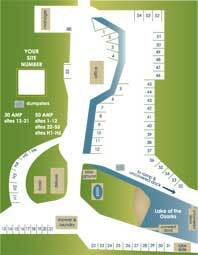 Use the hydrant at the campground or use the hot/cold faucets located outside of the shower building on the north side. 8.) Parking of jet skis or boats along the shoreline is prohibited. 9.) All dogs shall be kept on a leash. No dogs shall be left unattended. Please pick up dog droppings and place in dumpster. No pets are allowed in rental cabins. 10) All renters shall keep their sites orderly and clean. Please do not burn plastic items in fire rings. Do not dispose of cans and bottles in fire rings. 12.) The speed limit in the campground is 5 mph. The speed limit coming into the campground is 10 mph. Please drive slowly! 13.) Camping is an outdoor experience; therefore we do not give refunds due to the discomforts of nature. © 2018 Shorewood Landing. All rights reserved.